A popular resort town offering a good range of tourist trips, activities, and amenities, Seminyak houses numerous tour companies providing excursions into the jungles of Bali. The coastline boasts wide stretches of sand ensuring enough room for beach sports, soaking up the sun, and picnicking, which remain some of the most popular things to do in Seminyak. Out at sea, dive sites provide glimpses into diverse marine environments, while many operators offer water sports instruction courses and equipment. Back on dry land, beachside spas treat visitors to restorative therapies, ideal relaxation options before hitting the bars and restaurants of the main town. Seminyak is in Kuta District. Plan your tour of Seminyak and Indonesia travel itinerary using our Indonesia trip builder site . 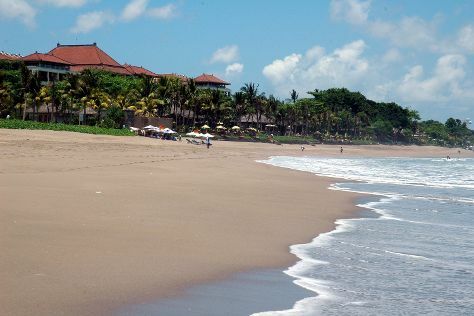 Exclusive coastal resorts in Seminyak offer access to private beaches, spas, and fine restaurants. Away from the coast, side streets offer budget to mid-priced rooms, located in a range of hotels, private villas, and hostels. Heading farther north, prices go up and exclusivity rises with them, with villas becoming the norm, alongside sprawling resorts offering a wealth of activities in isolated and peaceful locations.